In My Room feat. Sammie J – June 12, 2013 | Hot Jambalaya! It’s hard to miss Sammie J‘s enthusiasm for House music. 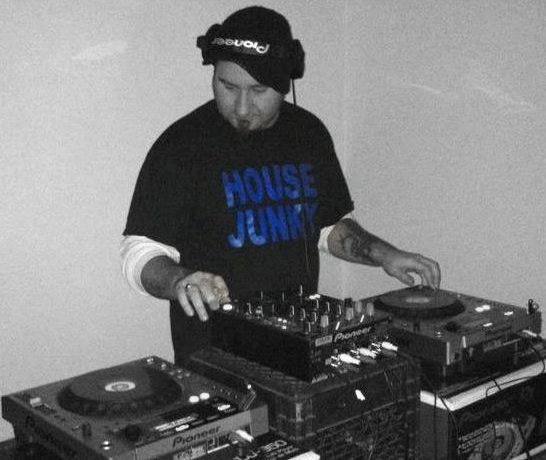 The self-described “House Junky” has recently been popping up everywhere in Toronto’s underground and late night venues like Nocturne, Bassline Music Bar, Tota and Vogue Supperclub. Eager and open to work with promoters and DJs from various musical backgrounds, Sammie explained: “I always wanted to spin music and I’ve had a love for electronic music even though I came from a Heavy Metal background.” Known for his upbeat and positive vibe’d House sets, the Tottenham-based DJ has lately been spreading his love of Jackin’ House both here in Toronto and in the Barrie area. When he’s not jockin’ in the clubs you can catch him performing live online on DigX-Radio for 4 hours from 2pm-6pm every Tuesday afternoon where he runs through House, Techno and Progressive for the players a MMORG named Alliance Warfare. With an audience reach in the thousands, the partnership with DigX-Radio has been great exposure for the up-and-coming DJ who broadcasts live from home. This past week Sammie J visited me in the Regent Park Focus studios and played a set of mostly Jackin’ House with some deviations through Filtered Disco House, Tech House, and some cheeky Swing House, before an abrupt left turn into a Soca-fuelled House crossover at the end of the show. In fact, he was so into the mix that we decided to do the interview at the end of the show instead of the typical break halfway through the show. We discuss his influences, who you should be listening to, and his upcoming events – see the flyer beneath the tracklist for more info. Click on the image below for more info and thanks again to Sammie J for appearing on the show! ← Coming soon in June on In My Room!